Is there anything better then a crunchy granola sprinkled on top of your yoghurt with some fresh fruit? 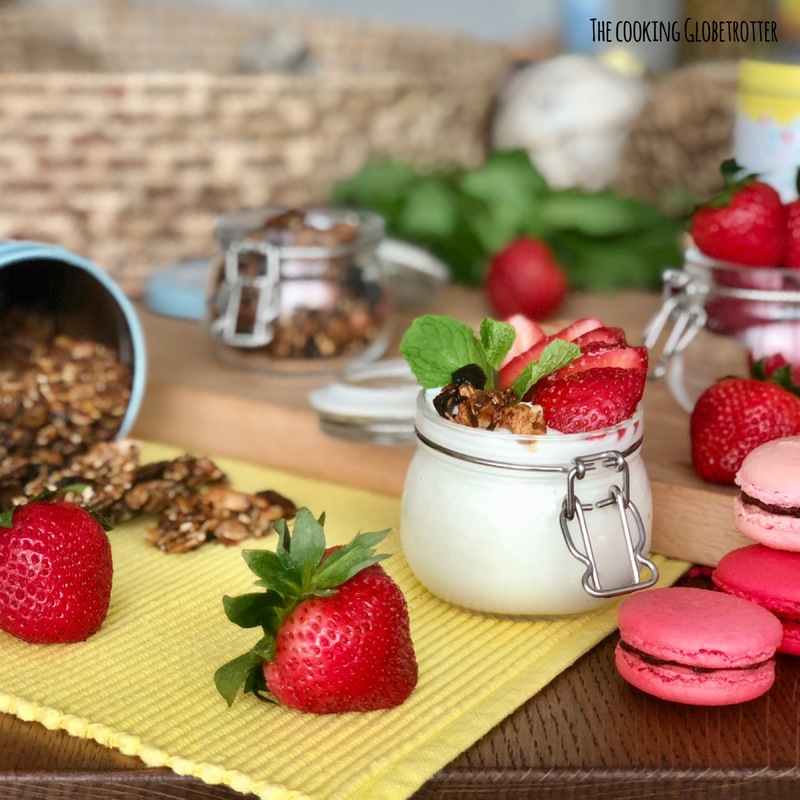 And if I told you that you can make your own granola with your favorite ingredients and healthy oil? No need to use nasty ingredients or to compromise to things you do not like. 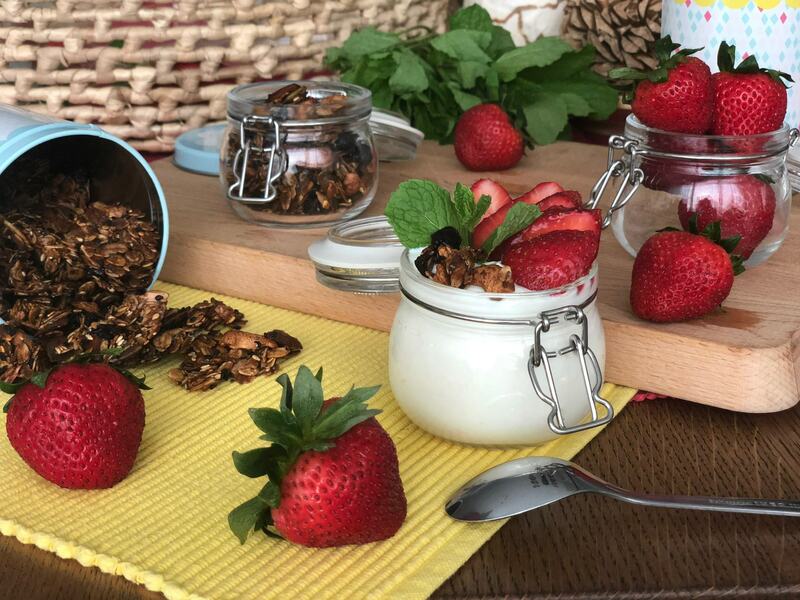 You can make your own healthy granola in just 30 minutes. 1. Soak the dried fruit (raisins, cranberries, figs, dates,…) in some water for 5 minutes, drain and dry well. 2. In a big non-sticking pan pour the syrup (50g, I used coconut flowers) and 50g of water. Heat it up and stir frequently on medium heat for about 5 minutes or until the water has dissolved. 3. Pour in your oats (110g), nuts (110g), dried fruits and seeds (80g). 4. Add the oil of your choice (25g, for example coconut oil) and mix well on low medium heat. 5. Preheat your oven at 150 degrees. 6. Place your granola on a baking tin covered with baking paper. 7. Bake for 15 minutes until crunchy. Be careful, it tends to burn easily, so you may want to keep an eye on it and eventually turn the tin if your oven doesn’t bake evenly. 7. Let it cool completely, brake it and store your lovely granola in airtight containers! 8. Enjoy as it is or on yogurt! This recipe is very flexible so you can use all sort of things that you like and always create new combinations!